Pure Digital CEO Leaving Cisco; Was Flip Deal a Flop? Updated. 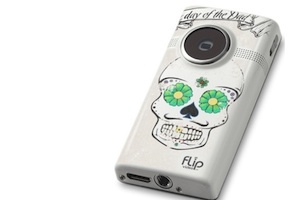 Pure Digital CEO Jonathan Kaplan will be leaving Cisco (s csco) on Friday, less than two years after Cisco bought the maker of the Flip video camera franchise for a cool $590 million. According to the company, as part of the reshuffling, Ned Hooper, who was Kaplan’s boss, will relinquish his role as head of Cisco consumer and focus full-time on his role as Chief Strategy Officer, and Hooper’s consumer role will be filled by Marthin de Beer. Update: De Beer will also continue to run the emerging technologies business group. While many were left scratching their heads about why Cisco would buy a low-end camera maker, the company has always positioned the acquisition as one that got it more than just the Flip camera line. Cisco saw the deal as something that would help revitalize its consumer product line by injecting the design aesthetic and consumer marketing prowess of the Flip team directly into its products. That was supposed to help it move beyond the world of routers and gateways and deeper into the consumer space, a move that it has had trouble making, even as the home networking market matured. Due to the belief that Pure Digital could reinvent Cisco’s consumer business, it paid a king’s ransom for the company to essentially buy the management team that led a small 100-person startup to create a new product category in handheld video. The thinking was that if Kaplan and Co. could simplify video, they could also help simplify the home network. But now that Kaplan is veering toward an exit, it’s time to ask if the investment in Flip — and particularly in Kaplan — was worth the big chunk of change that Cisco put up? In order to answer that, you have to look at what Kaplan helped accomplish in his two years. For the Cisco consumer-networking business, he shook up a product line that had grown somewhat stale by introducing Valet and its simplified software layer for setup and management, and an improved look and feel that makes the gear appear, on the surface at least, more approachable than the traditional Linksys line. The thinking here is logical, because Cisco needed to take a different approach to moving beyond its core tech-savvy audience. Home networking had become a saturated market, one where most who wanted a home router had one, and the only way to further penetrate the last 30-40 percent or so without a home router in their home it would take a gentler, less-technology centric approach. At the same time, Cisco wanted to leverage the Flip brand and give it additional fuel. The problem was (and is) is that the continued growth of video-enabled smartphones has hurt standalone cameras to a certain extent. While Flip cameras continue to do well — shipping 4 million total units as of Spring 2010 — they haven’t really seen the hockey-stick like growth of a true consumer technology phenomenon. And while Cisco is positioning Kaplan’s departure as natural for the entrepreneur that he is, the company has to be disappointed he didn’t do more in his time there. The truth of the matter is that the Flip team was given free rein with Cisco’s consumer business, and while it has launched a new, friendlier line of home networking gear and continues to add minor enhancements to the Flip line, these aren’t the kind of earth-shaking remakes you pay that kind of money for. In fact, two years after the deal, Cisco’s consumer business still feels, in some ways, like it is being left behind in a new digital home where Google (s goog) and Apple (s aapl) are beginning to lay down stakes. Umi — its consumer video conferencing business and big focus for 2011 — seems to have a pricing problem, and despite the big hullabaloo the company made at CES over Videoscape — its integrated pay TV/OTT solution — most of the heat in the new digital home is still around others. So while Kaplan and team have made some small steps towards resetting Cisco’s legacy product lines and continued to sell low-end cameras despite competition from Apple, for the amount of money Cisco paid, and with Kaplan ending tenure at the networking giant, the acquisition of Flip will go down in the books for some as a flop. I think its time for John Chambers to be reminded that its time for him to retire… Else shareholders need to do a Tahrir Square outside his office. Cisco is clearly trying to avoid the same fate as Nokia and get into lots of new businesses. But they have started so many new initiatives that it seems fair to say they have doomed themselves to not succeeding in any of them. I just think Flip was capitalizing on that short window of opportunity where there was a demand for an easy way to create video on the web, but before mobile phones had caught up with the ability to create this video with a certain level of quality. Now that we live in a world where almost everyone has a mobile device that records pretty good video, it doesn’t seem they’ve been able to adapt with any new products that would allow them to remain relevant. If Cisco had moved aggressively to integrate WiFi and social networking features into Pure Digital’s camcorders, which was expected by many observers, the acquisition would have made much more sense. As it stands, however, the added value provided by Cisco was very low. As for the Valet rebranding of Linksys’ products, an in-house or outside team could have done it by themselves, at a fraction of the cost of the Pure Digital acquisition. I suspect that we’ll learn a lot more about the situation over the next few days and weeks, but to me it’s clear–Cisco isn’t, and probably will never be, a consumer electronics company. I did expect faster integration of connectivity into Flip devices, and wouldn’t rule that out eventually. But yes, it should have happened already. I do think Valet is more than a new brand (its actually an entirely new product line – they kept the Linksys by Cisco brand on some of the advanced-user products). For Valet, Cisco consumer combined software from the Pure Networks (separate acquisition, similar name) and used that on the Valet product line; the team that drove the Flipshare software development worked to integrate Pure Networks connectivity software and give a friendlier UI. Now, was that worth the price of what they paid? Certainly not alone, it wasn’t; I think they should have gotten a bit more, but the Flip was only 100 employees when the bought them, so they only got so much in the way of developer horsepower and at new product development.